Parking is FREE each day! The Let's Go Fishing Show is a Show dedicated solely to anglers. Folks who love to fish come from Central Illinois, Southern Illinois and Missouri. Gateway Center is the home (for 25 years!) to the Let's Go Fishing Show and is located in Collinsville, Illinois, which is just 9 minutes from downtown St. Louis, Missouri. 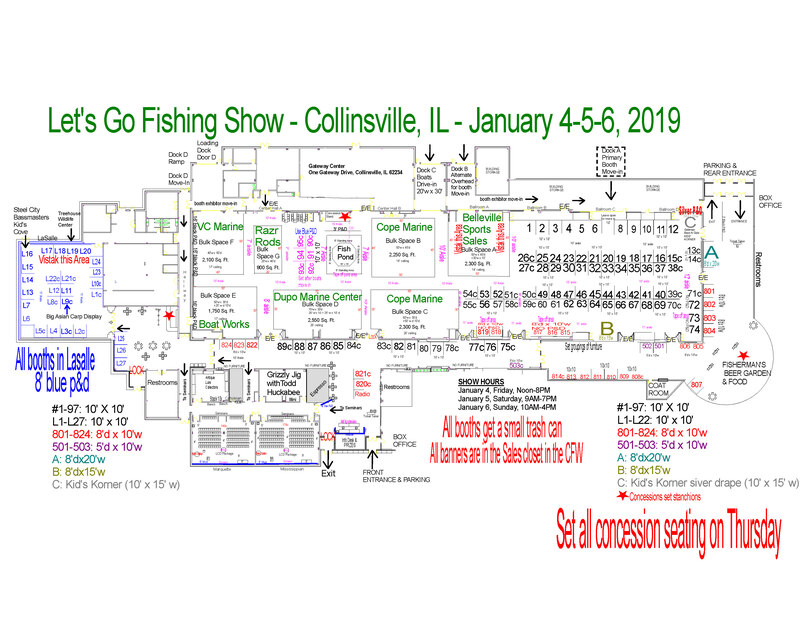 Would you like to learn more about how you can become a Fishing Show Vendor? Contact our Director of Sales & Marketing below or visit our Vendor Page.